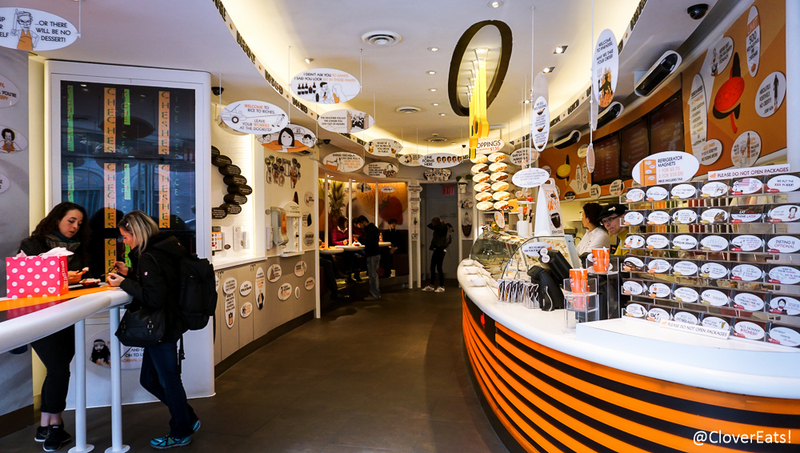 CloverSnacks: Rice to Riches in NYC Nolita | Clover Eats! 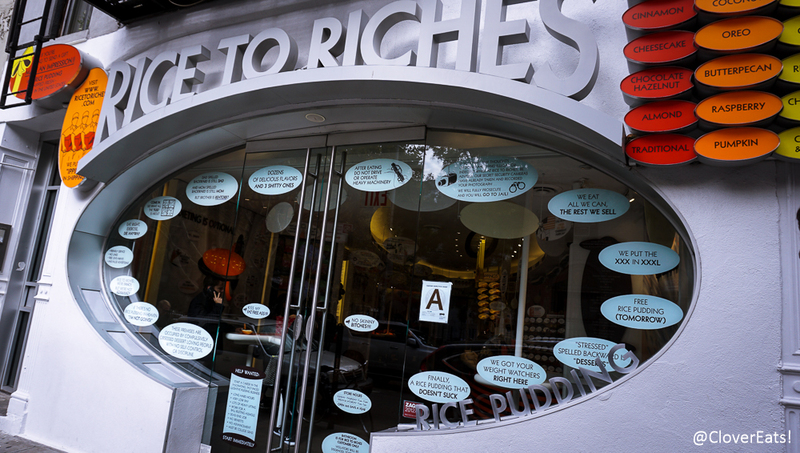 This is a cute little rice pudding shop, with all types of rice pudding! The texture is good, and it’s fun to experience your favorite flavors in rice pudding form. 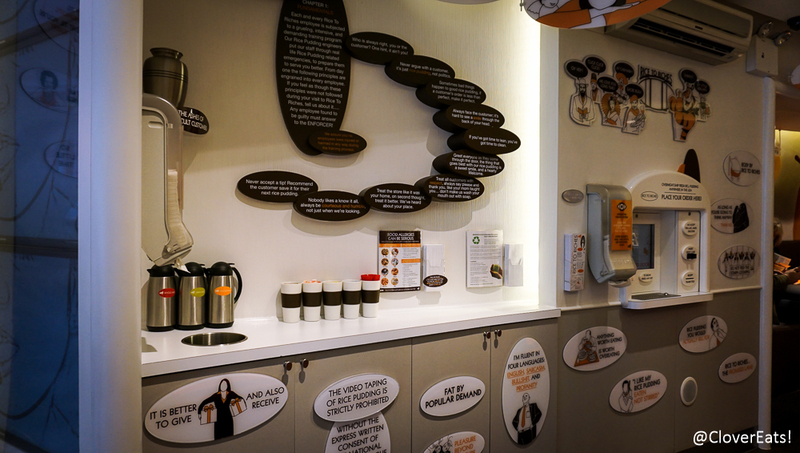 The location is quite trendy, although there’s a little too much attitude in some of the signs. 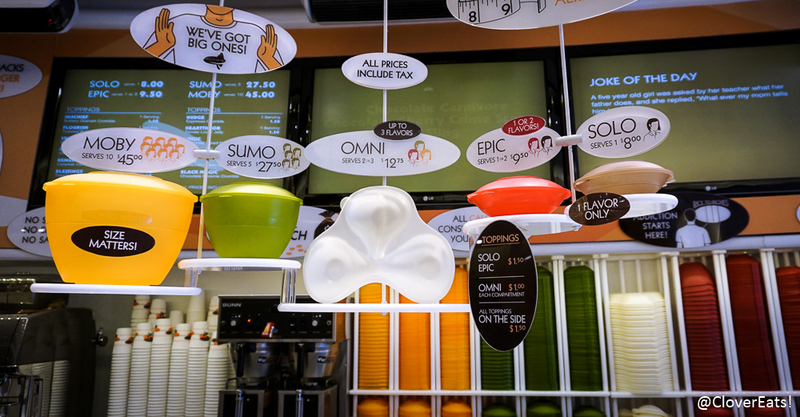 The sizes are also humongous – the smallest little $5 cups (that unfortunately only comes in 4 flavors) was more than enough for the both of us. They were pretty generous with samples (as we wanted to try all sorts of them), as well as with toppings, of which there was as much of as the rice pudding itself. A fun treat!